Did you hear? Apple is getting sued because iPhone users who switched to another device no longer receive text messages from their iOS-based friends and relatives. A dodgy situation indeed, and not only for Apple - after all, it's the users themselves that are missing out on important communications. Thankfully, you don't have to wait for Cupertino to sort out their legal and technological troubles to get your messaging back on track, and there are things you can try to solve the problem. The first one has been reported to work right off the bat, bringing over "lost" iMessage texts from your Apple-friends and onto your non-iOS device within 12 hours or so. We'll explore the different things you can do ensure your phone number is completely free of Apple's, shall we say, "influence" on what it can and cannot do. The first scenario is in the case you have already switched to another device, while the second scenario is more elaborate and is targeted towards those of you that are planning to switch. The first step will be to unregister your iPhone from your Apple ID account. 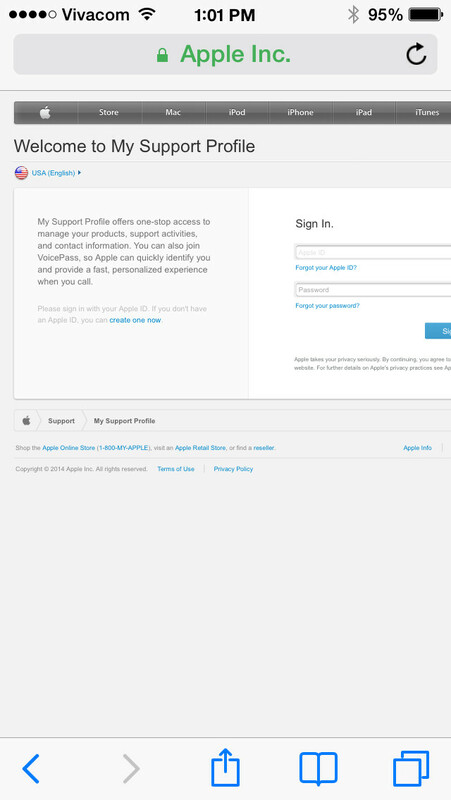 Go to http://supportprofile.apple.com and log-in with your Apple ID. Unregister your iPhone from Apple's system, which will "free" your number of iMessage, Apple ID, and the App Store. Additionally, you will have to reset your Apple ID password and log out from all services. Done already? The next step is to send a message to 48369 with the word STOP. 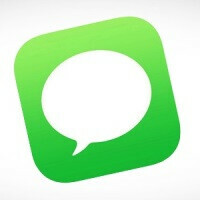 This should disconnect your number from Apple's iMessage servers for good, and render you able to receive texts from iPhone owners. You still have your iPhone, but want to switch to another device. 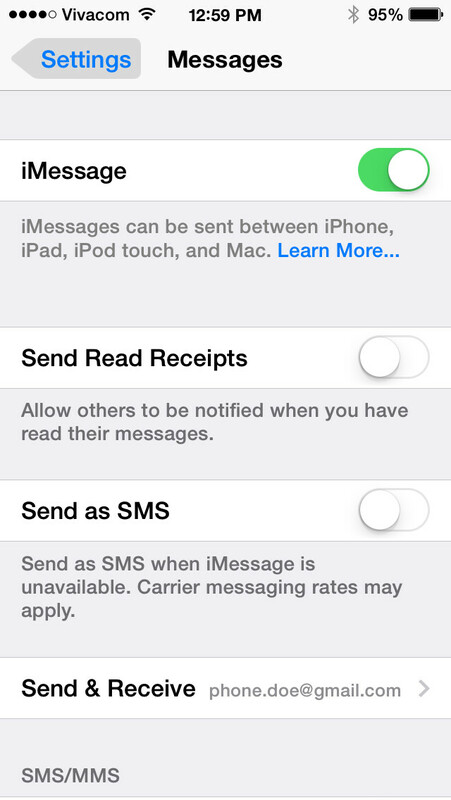 The first thing to do is to switch off iMessage from the Messages menu in Settings. When you do so, your message bubbles should look green, instead of blue. iMessage, however, works in the entirety of Apple services, including iCloud, Game Center, iTunes, and the like. If you are using iCloud, it might be a good idea to sign in and remove your number from the Account Details page. Deleting and re-adding your phone number as a non-iMessage contact after you switch. This is something Apple recommends for everyone looking to switch. Hitting the information icon next to a message they suspect didn't come through to your phone, and re-sending it as a text message. Additionally, it is said that the iMessage problem often "solves itself" in 45 days, after Apple's servers get full of the unreceived messages sent to your number and basically get the hint that you are out of the system. Hopefully, this round-up will help solve the messaging woes of iPhone converts. Oh hey look, Mxy. The very first step involves unregistering your phone from Apple, which YOU ARGUED WASN'T NECESSARY. The process outlined here throws into sharp relief just how annoying this is for people looking to use something other than an iPhone, and the fact that it takes so many steps and/or so long to "fix itself" only points toward it being a deliberate trick by Apple to discourage people from switching. I doubt it's a deliberate trick as it always worked in the past, and does still work fine for some users. I suspect that this is simply a bug that Apple needs to fix. There's no need for conspiracy theories. He's been doing this recently. Taking potshots at apple and iMessage. It's all just a load toss. Even if it is a bug Apple is surely dragging their feet to fix it. It's a VERY convenient bug . I agree apple needs to address this but you're just exaggerating. I've never had a problem with iMessage. Again other than extreme cases this is not necessary. Mxy, this isn't a problem with iMessage as an iPhone user, it's a problem with iMessage as an ex-iPhone user. Unless I'm mistaken you haven't been an ex-iPhone user for a long time. If it's not necessary "beyond extreme cases" then why is it listed as the first step in the guide? Why not as a "hey, this probably isn't necessary, but if these other steps don't work try this?" No you're mistaken as usual. You're overblowing an issue that probably only affects a small number of users. But since you like to point fingers let's not forget Google has skeletons in their closet when it comes to things not working right on Android. No service is ever perfect. "You're overblowing an issue that probably only affects a small number of users." It's only "probably" in your mind because that's what you want to believe. "skeletons in their closet" Yeah, the difference is though that Google generally fixes major problems like this. No I only believe facts not some bs spun version. Lol they do now? How's that 4.4.3 release coming along? There's also the issue of kk being a battery drain. The google services outtages. What 4.4.3 release? Has Google ever said there's supposed to be a 4.4.3? Oh, I get it. This is the same thing as when you were all pissy at Motorola and saying they "botched" the release of the Moto X because there were months of unofficial leaks without any official announcement or release date being offered by the company, isn't it? Yeah, you got real quiet when they A) actually announced the phone and B) actually released it on schedule. And now you're resorting to bitching about unreleased software that nobody has any reason to expect is actually going to be released. What's this about Kitkat being a battery drain? It certainly doesn't seem to be on the two devices I have which run it. And yes, once in a great while Google services go out. Like, what, once a year? They come back online pretty quick too. How's Apple coming along on that Daylight Savings Time clock glitch which has plagued the iPhone since the early days of iOS and STILL hit devices on iOS 7? "Lots of hype and anticipation"-by fans. Motorola itself did no such thing. "Modest at best" Unless you talk to the majority of its users, especially those who take advantage of the features that make it unique. There's also been evidence of an iWatch. Does that mean that Apple's completely screwing up by not having released it already, despite them not advertising, hinting at or otherwise promoting it? (Logical consistency is NOT your friend). Outages happen. The good news is that they were resolved relatively quickly and without further incident. And no other operating system bungles Daylight Savings Time. So Motorola never said anything about the X being a revolution or anything? Lol ok Sniggly. Features doesn't stop it from being a midrange phone. Yes it has some ok features. But it still doesn't measure up. Except the difference is that Apple never announced a smart watch. Motorola did announce a new phone at the time. The outtages are becoming more frequent than usual. DST bungles everything. They did tout the different approach they took, and guess what? The tech sites all agreed with them that it was a great step forward for smartphones, and certainly more innovative than the 5S. In what way does the Moto X not measure up? For most users it does everything just as well as smartphones with twice its processing power. Motorola didn't announce the Moto X until about a month before its release. Prior to that the closest thing they had to official confirmation was the announcement that they were opening the factory in Texas to build it (without saying anything about the phone itself) and Woodside talking about how excited he was about the phone, and saying he had it in his pocket. Both were only a couple of months before its release. Prior to that it was a bunch of unofficial rumors and hearsay, JUST LIKE THE iWATCH. "are becoming" Two outages doesn't make a trend. What is a trend, however, is that iOS is the only operating system these days that gets screwed up by Daylight Savings Time. It happens almost every year. A good start but the execution could be better. Look at the Moto G. It had a QUAD CORE processor with a far better screen than the X had. So save me the toss about it being capable because it could have been better. It has active display but that's about it. Hardly something that would convince me to be a major selling point. Uh huh I don't remember it that way. But of course you're going to twist it to see it your way as usual. Lol you're still hung up on that? DST is an outdated concept. It needs to be abolished. Again google is guilty of stuff not working properly. How long did it take for google to get android buttery smooth? Even then it still isn't fully optimized to where it can run smoothly. Come on, Mxy. You've been here long enough to know that more cores don't always equal better performance. The quad core in the Moto G ultimately puts out less horsepower than the dual core in the Moto X. The screen is also fine on the Moto X. Its pixel density is pretty close to the iPhone's. Also, it could be argued that the original iPhone was "a good start but the execution could be better." No 3G, no camera flash, you couldn't even change the background. Oh, and reception was pretty bad. And how about that price. 600 bucks WITH a contract. If originals were perfect, there would be no need for new yearly models. As it is, the Moto X IS capable of handling virtually anything your average user wants to throw at it, which is what it was designed for. Active display, touchless voice commands (that WORK) Motorola Assist, all apps decoupled from the main software so updates come quicker, twist to launch camera with a simple, easy interface...all relatively unique features for a phone that is greater than the sum of its parts. The goal was to make the smartphone easy and convenient on a level that no other had dreamed of. It succeeded so well that it even got Mike Elgan to make the switch. He said that if the iPhone ever included the features the Moto X included, he'd switch back. I remember it correctly. Motorola had no official announcement regarding the Moto X, and certainly didn't name a release date, until July, and it was released in August. Prior to that Woodside finally discussed the device in May. He only talked about it in vague terms, however, saying it would be released by October. This was also when he said the factory was being set up in Texas. (this is all right on the Wiki page for the Moto X, but there's also individual sources backing me up on this) I'm not arguing for the virtues of Daylight Savings Time. I'm pointing out that Apple has a bug in iOS which has existed almost since its inception, and which exists on no other OS. If Google could figure it out, why can't Apple? Android was pretty smooth by the time Jelly Bean came out. It was a gradual process; the system was ahead of its time in resource requirements. Kitkat is where it all came together, and yes. It really does run buttery smooth. And there will always be bug fixes for software updates. I mean, my god, look at how many updates Apple's had to release for iOS 7 just to get it running half decent on older devices. Of course I know that. I'm mean from a marketing standpoint. It's a mid ranged phone on paper. I can understand optimization and all but don't charge $199 for something that should've been $99 on contract at the most. That's ridiculous. The original iPhone at the time was in a very primitive state where smartphones weren't really mainstream. 3G wasn't even prominent back then. If you want to talk about price talk about the price of the nexus one or even the first android phone. I don't know Mike Egan. I'm not concerned about a bandwagon. That doesn't prove a thing.. So what? There was all kinds of rumours and speculation. I even said it was the Bionic at the time since Motorola wasn't really saying much. To say they aren't responsible for some of the hype would be ignorant. I'm pointing out that DST is a pain in more ways than one. But to address your comments I've never had that problem out of my iPhones. Look at how many maintenance updates Android flagship phones have had. Don't act like android phones never have problems out the door. Or should I pull a few sources? One thing you and I agree on here is that the price should not have been 200 bucks on contract to begin with, purely from a marketing standpoint. Since everybody was trained to think that specs were king by previous generations of Android phones, especially salesmen/women, most of them didn't give the Moto X a second glance when they saw the price. To me it was worth the 200 on contract, but I can see how most people wouldn't think so. Well, let's see. At the time that the original iPhone premiered, 3G was actually in a decent amount of cities. It wasn't ubiquitous, especially if you were on AT&T, but it existed. Android phones had 4G LTE long before that technology was ubiquitous. The iPhone missed out on LTE for a couple of years too, now that I think about it. As for the Nexus One and T-Mobile G1, both were sold for the average smartphone cost: Nexus One was $530 unlocked, and the G1 was $200 with contract. Both were easily comparable to every other smartphone around at the time (what the G1 lacked at launch was mostly added with software updates within months) and still came out cheaper than the original iPhone, which lacked features other smartphones had at the time. I'm not trying to get you to jump on a bandwagon. I'm pointing out that the features on the Moto X impressed nearly anyone whose opinion is worth a damn. Meanwhile, you're over here, doing your best impression of that Olympic gymnast. As I and others explained so many times to you, there was a key difference between the Bionic and the Moto X: The Bionic was OFFICIALLY announced at CES 2011 (January) with an expected launch window around April. However, when April rolled around Motorola quietly delayed the release, giving a vague "end of summer" time frame. 5 months went by with very little news until they finally released it on September 7, 2011, five months after its original intended launch and almost 8 months since it was announced. On the OTHER hand, the Moto X had absolutely ZERO official announcement until May (which counted more as a teaser, with no details on price, actual hard release date, specs, anything). Prior to May there were a ton of unofficial rumors and leaks, many of which conflicted with each other. Hell, the leak I got from my Motorola rep about the phone, with all of the details he listed, ended up being details relevant to FOUR DIFFERENT PROJECTS (the Moto X, Droid Maxx, Moto G, and Project Ara.) At the May announcement, they said the phone would be available by October. They beat that estimate by 2 months. Mxy, I seriously can't believe that you can read the above and still declare that the situations were exactly the same. With the Bionic, Motorola failed to meet a launch window (due to the unexpected battery drain of dual core processors meeting LTE) and rushed out a heavily modified phone instead. The Moto X met their self imposed timeline though, and was well executed at launch. And my point about the software updates isn't to say Android is perfect. You keep missing the point. If I say that there's a problem that Apple has with its software or hardware, it is NOT a valid argument to try to come back and make the conversation about whatever issues Android or anyone else has. Our original argument was about this iMessage bug, which is, objectively speaking, an annoyance for anyone who encounters it. That's really all I was saying. However, you want to go off in fifteen different directions in a desperate attempt to pretend that Apple can't have problems it needs to fix. well to make things fair this is 100% a Phone Arena article so this is just their take on how to do things. Verizon Wireless has you turn off iMessage first. either way can work just fine but turning off iMessage often times works quicker. Just turning off imessager 9 out of 10 times doesnt work. I work for verizon and its a pain. Customer have to call apple to get their number deleted cause deleting it from account and turning off imessager doesnt always work. Plus a lot of the time the people no longer even have the iphone. It was reset and sold. how should they log out of something they dont have? I completely agree, Sniggly. Seems a bit coincidental that this has been occurring since the iOS7 update, but Apple has ignored it and hid behind the "45 day fix" this long. Personally, I'm glad there is a lawsuit. It's overdue. Most Apple decisions are at least understandable and I can follow...but this one has caused so many issues for customers it makes my head spin. I'd agree if he was more reasonable in his approach. Following the news this morning/last night that Apple have implemented a fix server side, I've just tried turning off iMessage and confirmed it is now working as intended; other iPhone users are now sending me SMSes by default. So much for your conspiracy theory LOL. Well, it's good to know that once again Apple fixes something after it becomes a lawsuit-level issue.